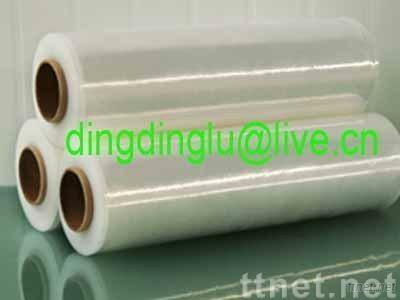 LLDPE stretch film is produced by the good raw material, with high stretch and high cling. For product wrapping or wrapping on the pallet. Protect your products from dust, dirt and water damage. Features: 1) Lightweight, strong tenacity, excellent puncture resistance 2) Made of recycled materials, reusable 3) Good self-adhesion 4) Widely used in pallet-packing of bulk goods during transportation or warehouse storage.